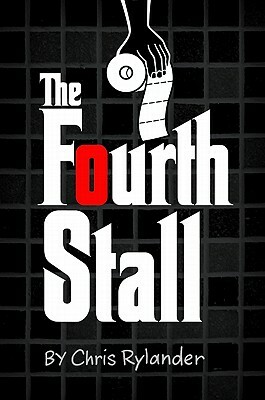 The Fourth Stall by Chris Rylander. Grades 4-7. Walden Pond Press, 2011. 314 pages. Review copy provided by my local library. Christian "Mac" (short for MacGuyver) Barrett is the kid who can get you what you need. From his office in the East Wing boys' bathroom, he deals in favors and cold, hard cash, helping kids with their problems, even if it means violating the school's code of conduct. But everything changes when Fred shows up: a scared third grader who's gotten in way over his head with a high school bookie named Staples. As Mac tries to help Fred, he learns just how deeply Staples has infiltrated his school. He's gotta shut Staples down, but when you factor in snitches, hit men, and ultimate betrayal, things get complicated really fast. This humorous mystery story has a lot of guy appeal and plenty of twists and turns to keep the reader guessing. Mac and his best friend/right hand man Vince aren't sure who they can trust. And when Vince starts acting a little fishy about the money that they're saving up for tickets to a World Series game, Mac's not even sure he can trust his best friend. One of my favorite things about this book was Mac and Vince's friendship. They've been best friends since living in the same trailer park in kindergarten. Since then, Mac's family has moved out of the trailer park, but Vince is still there. Mac trusts Vince implicitly and the business truly belongs to both of them. Yes, Mac's the one sitting in the big chair, but Vince keeps all the books and offers guidance when Mac's not sure what to do. With such close friends being in business together, you'd expect some tension and that's something that Chris Rylander gets exactly right. When Mac starts to doubt Vince's loyalty, you see all the conflict he's going through. It's all done in a guy-friendly way, though, among the baseball trivia and dodging hit men and hiring spies. The writing is a little uneven. Sometimes it's spot-on and hilarious, but other times it's a little repetitive and I think the book would have been stronger if the writing had been a little tighter. The mystery is well-crafted and definitely kept me guessing. I liked that Rylander gives us some peeks into Staples's life; he's not a stock Bad Guy, and the reader gets some of the reasons behind his evil deeds. Hand this to fans of Swindle by Gordon Korman, Adam Canfield of the Slash by Michael Winerip, or Half Moon Investigations by Eoin Colfer. Check out Sarah's review at GreenBean TeenQueen. And be aware that a sequel is also on shelves: The Fourth Stall Part II (Walden Pond Press, February 2012).